A paper about this work co-authored by Hall, Möttönen, Amherst postdoctoral research associate Michael Ray, Saugat Kandel ’12 and Finnish graduate student Emmi Ruokokski was published today in the journal Nature. “The creation of a synthetic magnetic monopole should provide us with unprecedented insight into aspects of the natural magnetic monopole—if indeed it exists,” said Hall, explaining the implications of his work. Ordinarily, magnetic poles come in pairs: they have both a north pole and a south pole. As the name suggests, however, a magnetic monopole is a magnetic particle possessing only a single, isolated pole—a north pole without a south pole, or vice versa. In 1931, Dirac published a paper that explored the nature of these monopoles in the context of quantum mechanics. Despite extensive experimental searches since then, in everything from lunar samples—moon rock—to ancient fossilized minerals, no observation of a naturally-occurring magnetic monopole has yet been confirmed. Hall’s team adopted an innovative approach to investigating Dirac’s theory, creating and identifying synthetic magnetic monopoles in an artificial magnetic field generated by a Bose-Einstein condensate, an extremely cold atomic gas tens of billionths of a degree warmer than absolute zero. The team relied upon theoretical work published by Möttönen and his student Ville Pietilä that suggested a particular sequence of changing external magnetic fields could lead to the creation of the synthetic monopole. Their experiments subsequently took place in the atomic refrigerator built by Hall and his students in his basement laboratory in the Merrill Science Center. After resolving many technical challenges, the team was rewarded with photographs that confirmed the monopoles’ presence at the ends of tiny quantum whirlpools within the ultracold gas. 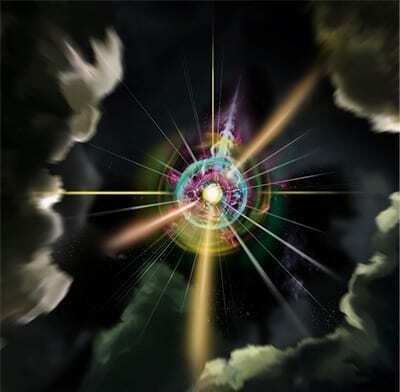 The result proves experimentally that Dirac’s envisioned structures do exist in nature, explained Hall, even if the naturally occurring magnetic monopoles remain at large. August 18, 2017 - Probing topology by “heating”: Quantized circular dichroism in ultracold atoms Science AdvancesWe reveal an intriguing manifestation of topology, which appears in the depletion rate of topological states of matter in response to an external drive. Synthetic materials systems that can “count” and sense their size?